Nice home with remodeled kitchen with new cabinets, corian counters and slide in gas range. Home has dual pane window with plant window in the kitchen. It has a stepdown family room with gas log fireplace. Good size lovely replastered pool in the back yard along with a patio, built in BBQ, gazebo and tuff shed and fountain. 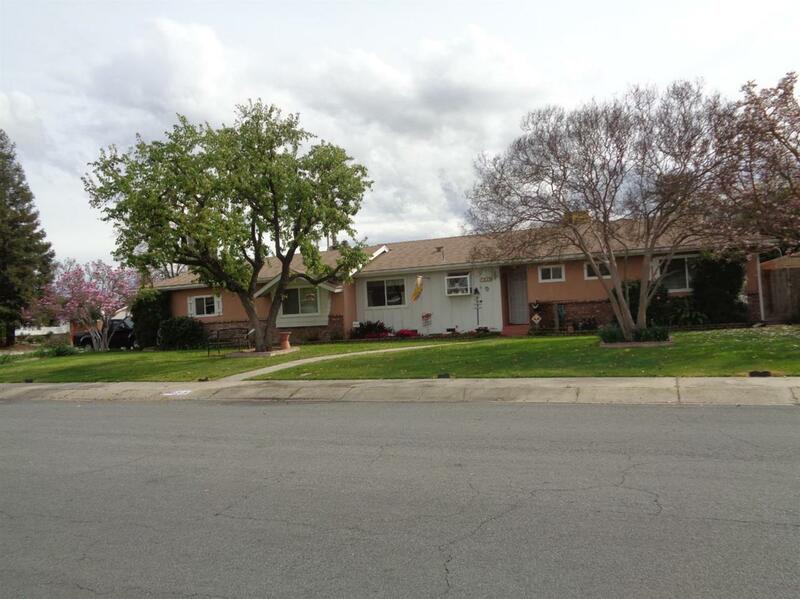 Listing provided courtesy of Judith Pirnstill of Keller Williams Realty Tulare County.